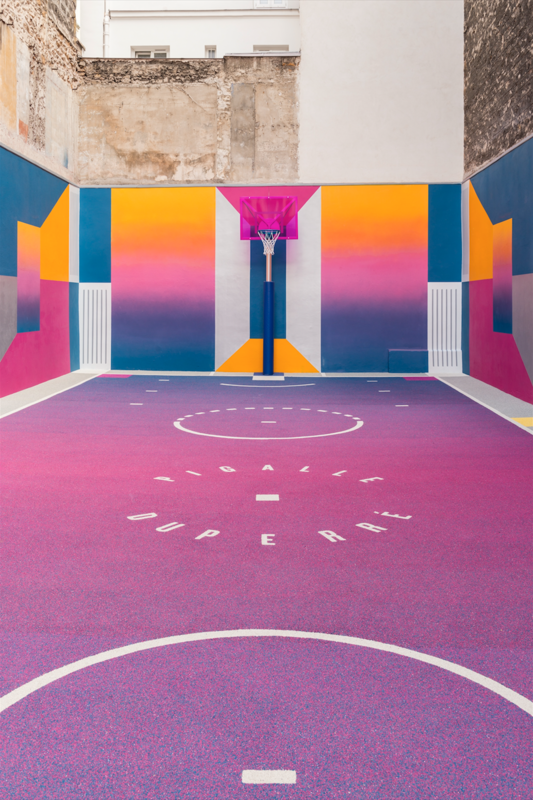 Accompanying the release of the Nike Lab x Pigalle capsule collection, Stéphane Ashpool and his team have come up with yet another striking way to leave a vivid mark on Paris. 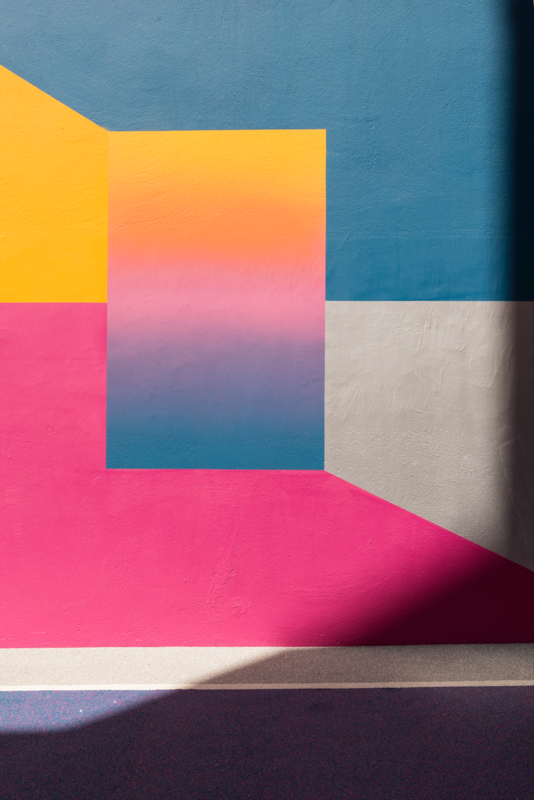 In collaboration with Parisian creative agency Ill Studio, Pigalle has turned a gap site into an impressive work of art. 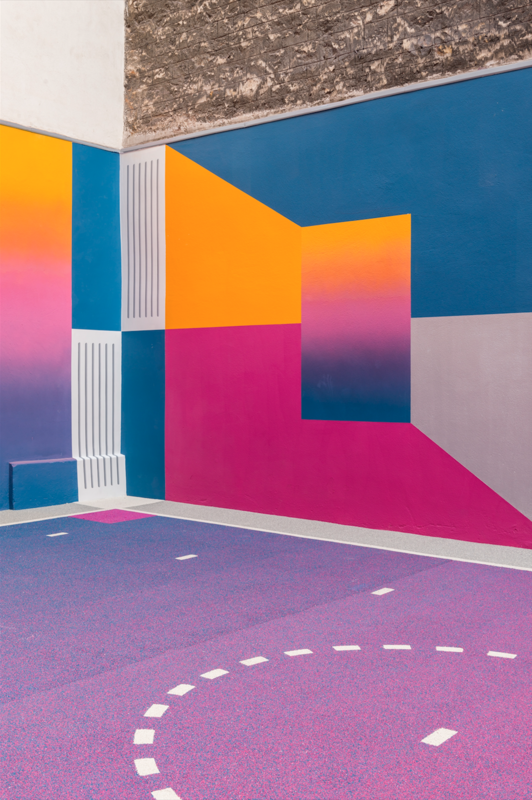 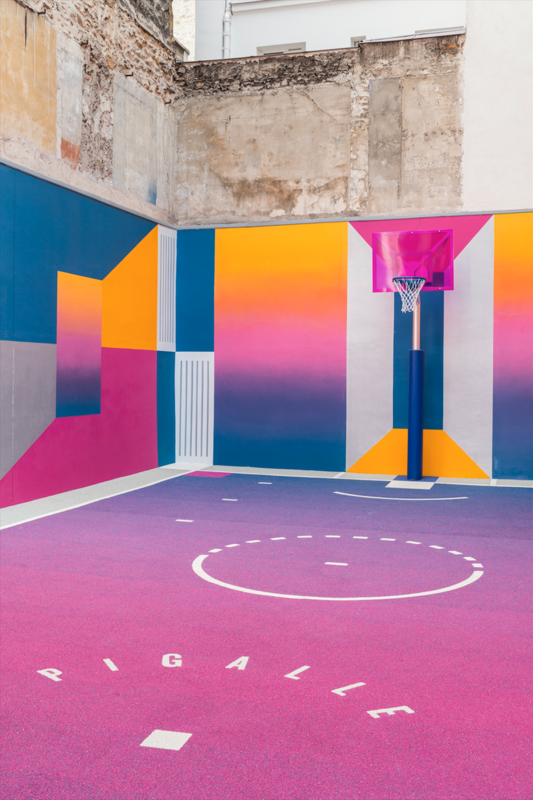 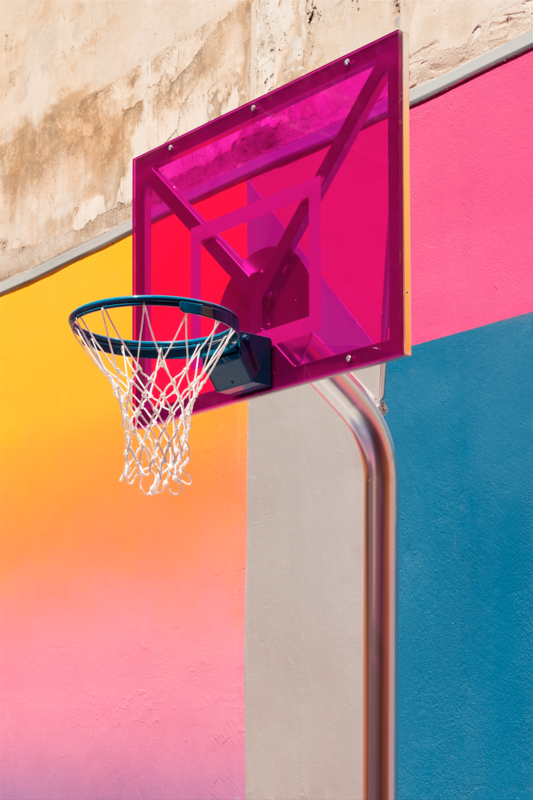 The floor and surrounding walls of a once quiet place were brought to life by an outstanding design of orange, purple, navy and pink hues – another love letter of the brand to Basketball. 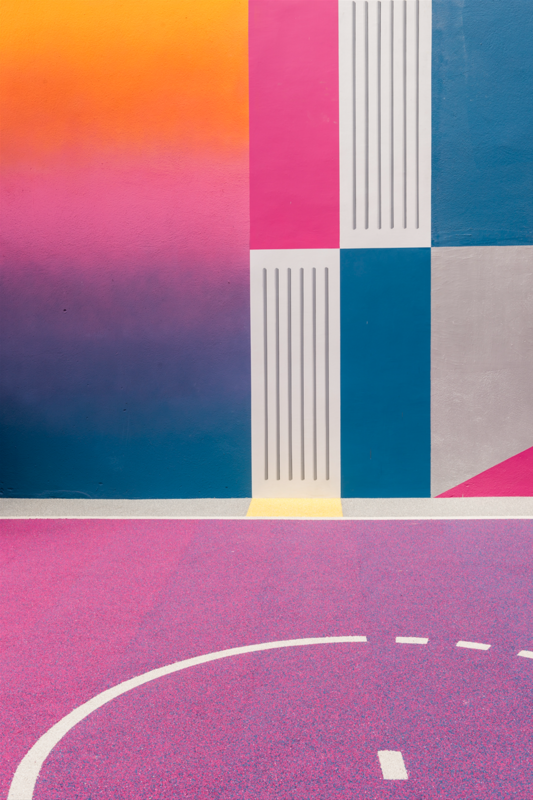 Get a closer look at the entirety of the design below.